When it was announced that Manny Pacquiao was going to be facing Jeff Horn in a WBO title defense, the fight was hardly given a shred of credibility! But it was evident from the very first bell that Pacquiao looked a shell of his former self despite the rough tactics of Australian Horn. Still, many thought that Pacquiao had done enough by the final bell, so when Jeff Horn was declared the winner, controversy almost immediately erupted! 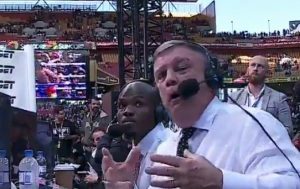 Particular standout moments included a fired up Teddy Atlas causing Tim Bradley to become uncomfortable after more or less telling Bradley that his opinion was flat out wrong. You do not have to worry about putting words into Teddy’s mouth. He’s certainly not shy of saying what he thinks to millions around the world! 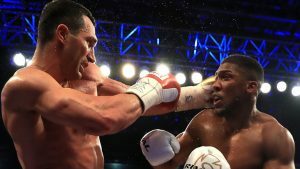 The crowd at Wembley Stadium back in April were on their feet when then sole IBF champion, Anthony Joshua forced Wladimir Klitschko to the ground by a combination of punches. But the plane would veer temporarily off course after Joshua punched himself out trying to finish the former champion. Klitschko battled back and the two traded huge blows before the bell came to signal the end of the fifth round. Joshua would go on to eventually halt the Ukrainian in the 11th round after delivering a massive uppercut upstairs. 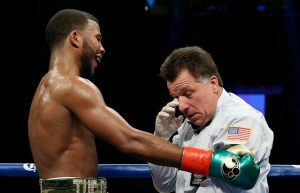 Given the boxing styles of both fighters, surely not many people would have predicted that James DeGale v Badou Jack would have been eventful. How wrong we were! Arthur Mercante Jr was accidentally struck by a powerful punch by Jack almost at the bell of the fifth round. Mercante managed to stay on his feet, thanks to the help of Jack who helped keep him standing. 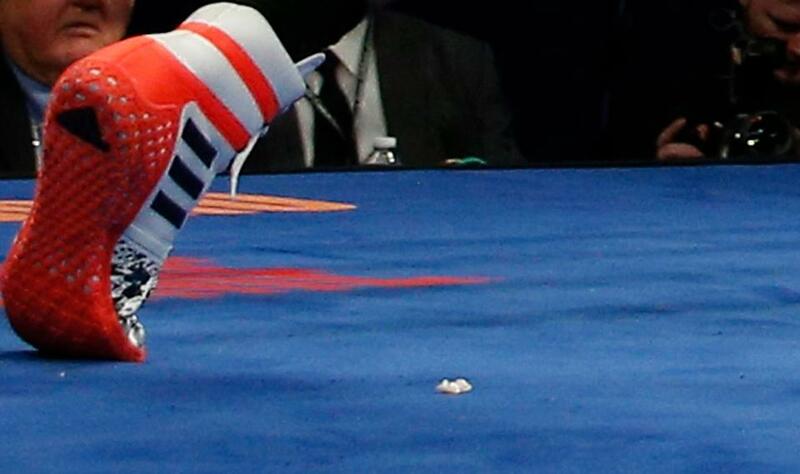 During the course of the bout, DeGale would go on to lose his front tooth which had to be put back in place. Boxing is considered to be one of the most brutal sports in the world, but it can have it’s comical moments from time to time. 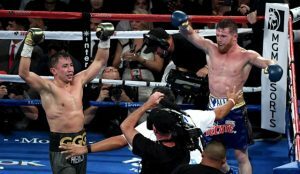 Saul ‘Canelo’ Alvarez v Gennady ‘GGG’ Golovkin certainly turned out to be just as good as it was anticipated. But the sound of the draw being read out at the fight’s conclusion did not go down well with the fans when it was widely thought that Golovkin did enough to win. That opinion has altered somewhat in a few people’s minds. Now, we just have to wait and see if the rematch will happen next. If it does not then it will be a huge blow for boxing! ‘SOG’ was probably lucky to have got the win in his first contest with hard hitting Sergey Kovalev in 2016. But Andre Ward certainly had no problem in wanting to set the record straight by signing up relatively quickly for a rematch. He definitely proved his point when he stopped Kovalev in the 8th round after catching him with a big right hand to the head that made him stumble all around the ring. The finish, however, became questionable since a few bombs were borderline. Nevertheless, Kovalev was out on his feet and it was surely only a matter of time before he probably would have seen the canvas again.